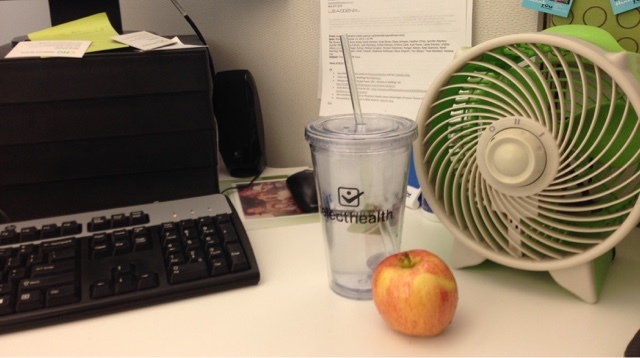 Starting a new job is hard. 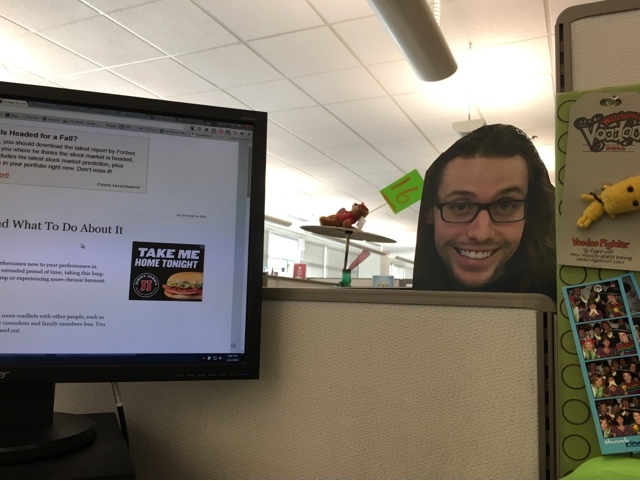 Luckily, I had Chase as a cubicle mate. When I was the new guy, he was the first guy to welcome me into the group and let me tag along. Since then, we've played lot of catch in the parking lot, tried and failed to become Periscope celebrities, and eaten way too many hot dogs at Costco. 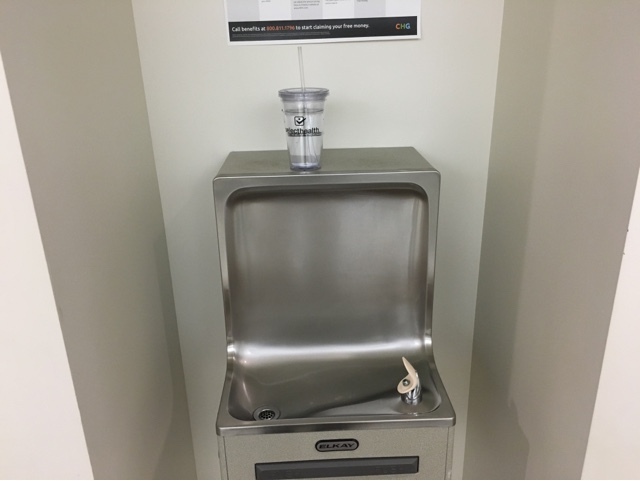 Despite team reorgs, building moves, and leader changes, we've managed to remain cubie neighbors for two-and-a-half years. During the last move, when we were put on different rows, we called in all available favors so we could at least sit across the cubicle wall from each other. And things only got better. 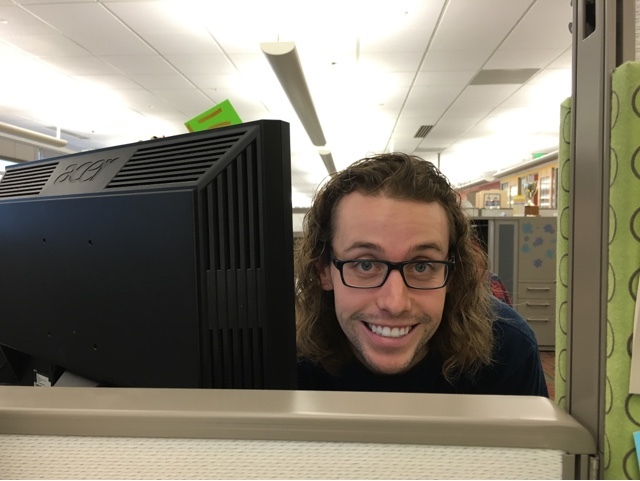 We took down the divider and made it the ultimate cubicle. Chase put one of his speakers on my side, and I put one of mine on his—and the rap battles began. Or rather, the name that tune/pick your favorite Brand New song/share the best new song of the week games began. But nothing lasts forever. The powers that be took Chase away and moved him several aisles away. No more rap battles. No more banter about hipsters or man-buns or craft beer. Chase was leaving. And there was no way to replace him. It's working pretty good so far. The boys and I spent the afternoon celebrating the birthday of our friends George Washington and Abraham Lincoln with the Utah Grizzlies. As usual, Tate checked out for a bit midway through the second period. When Curtis noticed that Tate had fallen asleep, he grabbed my phone and took a picture of him. 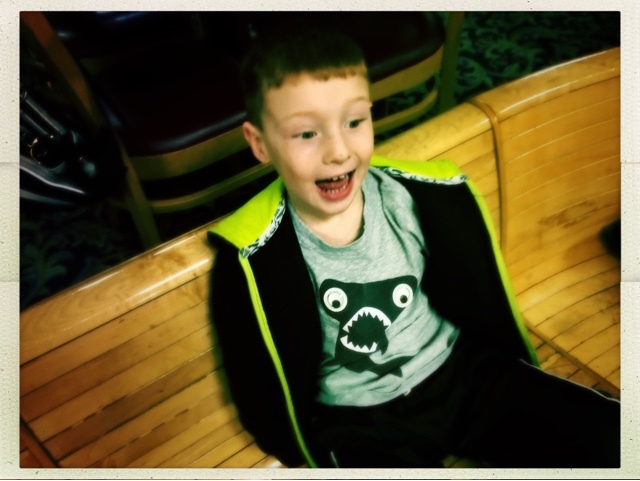 For a second, I thought that Curtis was actually doing something nice—capturing a sweet moment and then maybe texting the picture to Traci or something. The next thing I knew, Curtis had his finger under Tate's eyelid and was snapping a picture. Luckily, it didn't even faze Tate. He just keep on sleeping until the Grizzlies scored another goal. Then he turned on like a light bulb and said, matter-of-factly, "I had a little snooze." It's a good thing he woke up. Otherwise, he would have missed a few more goals—and more importantly, a bunch of fighting. After the Grizzlies went up 5-0, the opposing team lost their cool a bit and the gloves came off and fist were flying everywhere. "This was the best Grizzlies game we've ever been to," Tate said. "Because of all the fighting." Tate, unprovoked: My birthday is going to be the worst. Tate: Because it's on a Thursday. And you have band practice on Thursday and that means the whole house will be filled with horrible noise. On behalf of my entire band, let me just say that our feelings are hurt. Valentine's preparations are in full swing. At parent teacher conference, Curtis shows off his work of art. A very nice lady comes into his class each month to teach them a different art style. It's his mother. 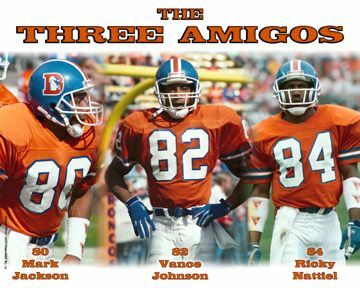 We've had lots of great memories together, the Broncos and me. 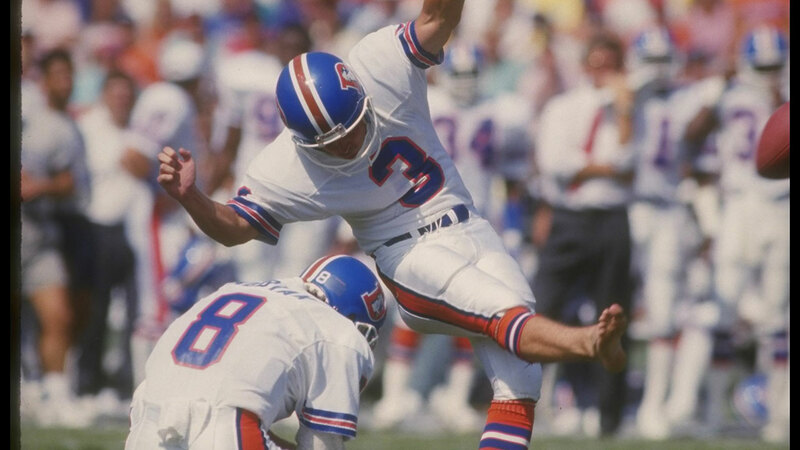 There was "The Drive" against Cleveland, The Three Amigos, and Rich Karlis' barefooted kicking. But there was there was also sadness. So much Super Bowl sadness. My first Super Bowl as a Broncos' fan. Coming into the game, my confidence was high. Going out, my spirits were crushed. Back in those days, they always showed Disneyland commercials after the game. "Phil Simms, you just won the Super Bowl. What are you going to do now?" Stupid Phil Simms. I hated him so bad. Back-to-back Super Bowl appearances. 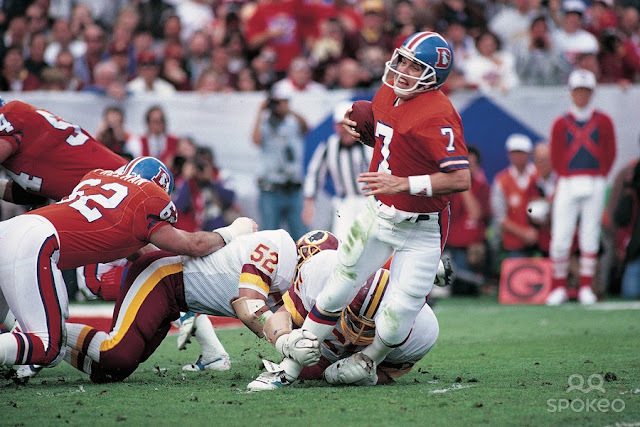 There was no way the Broncos were going to lose two in a row, especially after John Elway threw a touchdown pass on his first play of the game. Then they kicked a field goal and went up 10-0. We've got this in the bag! Nope. The Redskins went on to score 42 unanswered points. I went into the bathroom so my parents wouldn't see me cry. Doug Williams got to go to Disneyland. I hated him so bad. The 49ers pummeled the Broncos 55-10. My poor little heart couldn't take any more. When the Broncos made it to another Super Bowl, I told myself it was no big deal. The Packers were really good and clearly the Broncos had trouble winning the big game. If they lost, they lost. I was an angsty teenager. I wasn't going to cry for John Elway (again). But the game was close. The Broncos had a chance. The Broncos had a chance but I wasn't going to get too excited. The Broncos were going to win this game but I wasn't going to believe it. Then John Elway--now Old Man John Elway--was leaping in the air. He's diving for the first down. He got it! It was time to believe. And then it happened. The Broncos won the Super Bowl! 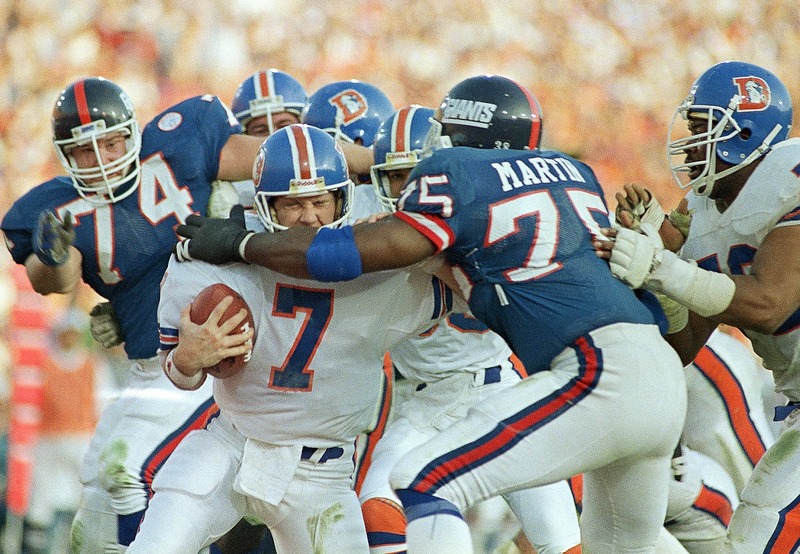 They hoisted John Elway onto their shoulders and they may as well have been hoisting me, too. was from Atlanta. He cheered for the Falcons and I cheered for the Broncos. He left sad, I was happy. But I was busy thinking about music and girls and a mission that was right around the corner. 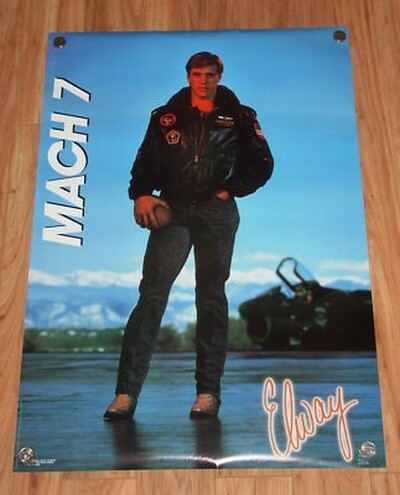 I don't know if John Elway was ever invited to Disneyland, but he definitely rode off into the sunset. Everything was good in the world. The years that came next were tough. There was Brian Griese (no one remembers Brian Griese) and Jake Cutler (no one liked Jake Cutler) and Jake Plummer (I liked Jake Plummer and wrote about it here). And, of course, there was Tebow. But the Broncos didn't become the Broncos again until Peyton came to town. In the past few years, I fallen in love with football again. I don't think I've missed a Broncos game in a decade. And with Peyton, the Broncos were really good. 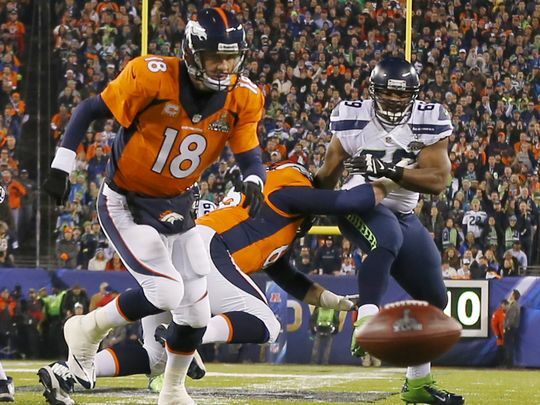 Sure, Peyton fumbled the first snap and the Seahawks scored a touchdown. We'd come back. 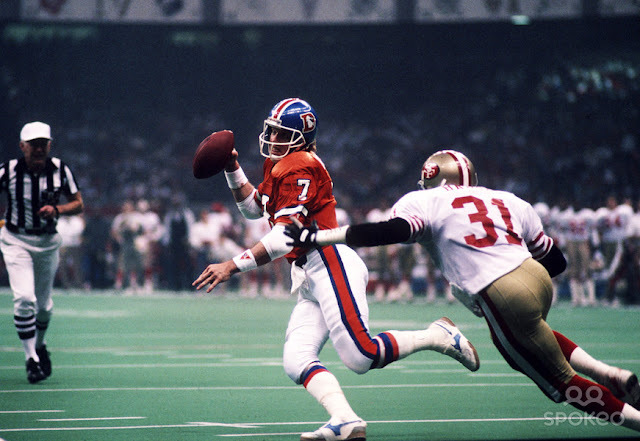 I was as confident about a Broncos victory as I had been been in the opening minutes of Super Bowl XXI. When the Seahawks scored again, I was still okay. We had five-time MVP Peyton Manning. We'd be fine. But we weren't. The Seahawks put up 43 points. We were watching the game at a friend's house. I didn't cry, but the memories of all those Super Bowl losses came rushing back. I could just picture every single one of those Seahawks going to Disneyland--right along with Phil Simms, Doug Williams, and Joe Montana. And I hated all of them. Today's the day. 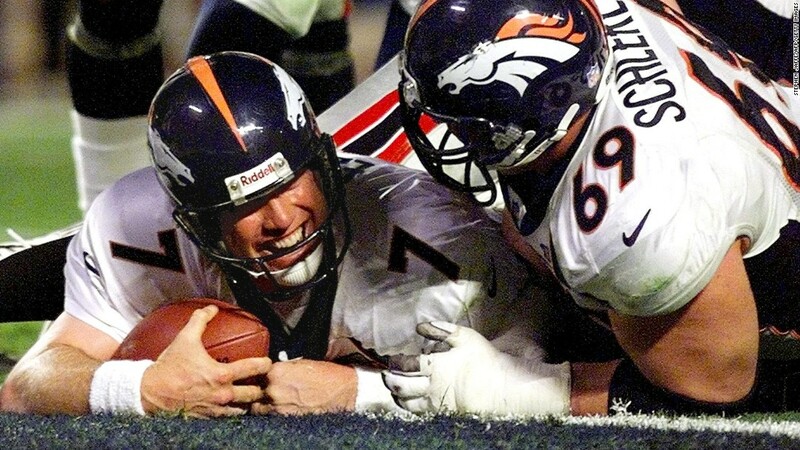 Will Old Man Peyton channel Old Man Elway and go out on top? Or will I be left crying in the bathroom once again? This year, I've got family on my side. Paige will be sporting her Peyton Manning t-shirt and Tate says he's going to wear all three of his Broncos shirts at the same time. Curtis, of course, hates the Broncos and will be cheering for the Panthers. Curtis' first season of Junior Jazz. He loved every minute of it.